The Wulf has made an album called Rounds, which is available on their website as of today! A group of LA-based composers were commissioned to write rounds for the project, including Adrian Tenney, Eric Km Clark, Casey Anderson, myself, Jessica Catron, Michael Winter, Julia Holter, and more. There are also rounds by composer like Larry Polansky, James Tenney, and David Mahler. 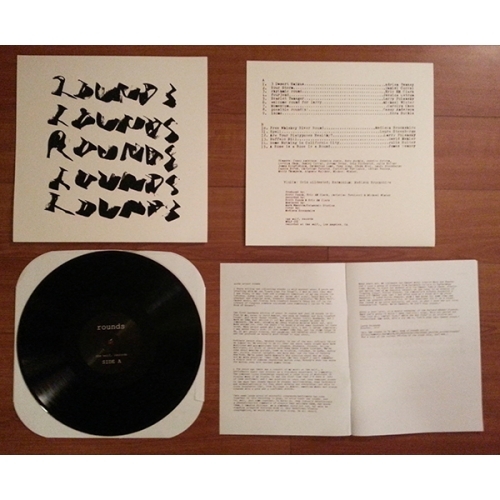 Rounds is available either as a limited edition vinyl LP (including a digital download), or as a digital download. While you're waiting for your download to finish, you can read Larry Polansky's extremely helpful article, Some Thoughts on Writing Rounds. On December 15, there will be a Rounds record release party at the Wulf.